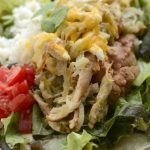 We love the Mexican restaurant Bajio in Utah and their Green Chile Chicken Salad is one of our favorites. One of our favorite salads is served at Bajio Mexican Restaurant. 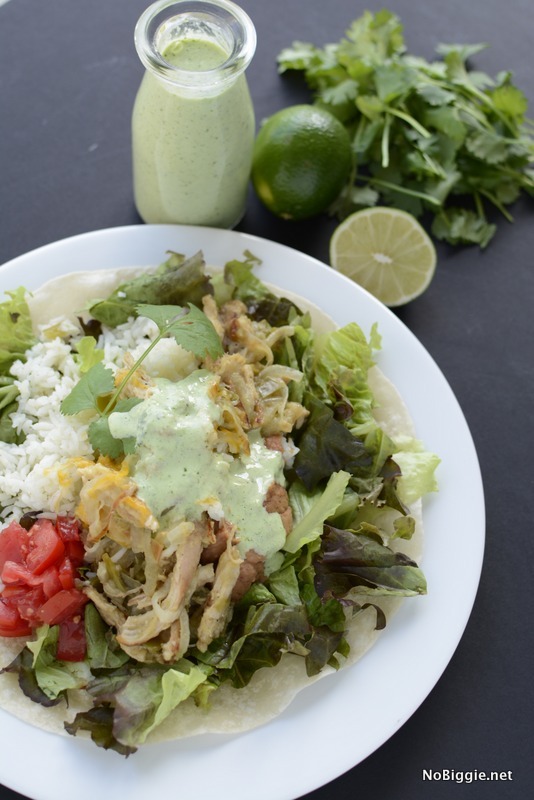 It’s the Green Chicken Chili Salad or Green Chile Chicken (how ever you want to say it. If you get the chance to go there. you will have to try it! It’s always fun to be able to make your restaurant favorites at home, and this salad is definitely on the list. This copy cat salad is the real deal…and a full meal! To make this copy cat restaurant recipe, there’s a few steps, but it’s so worth your time. 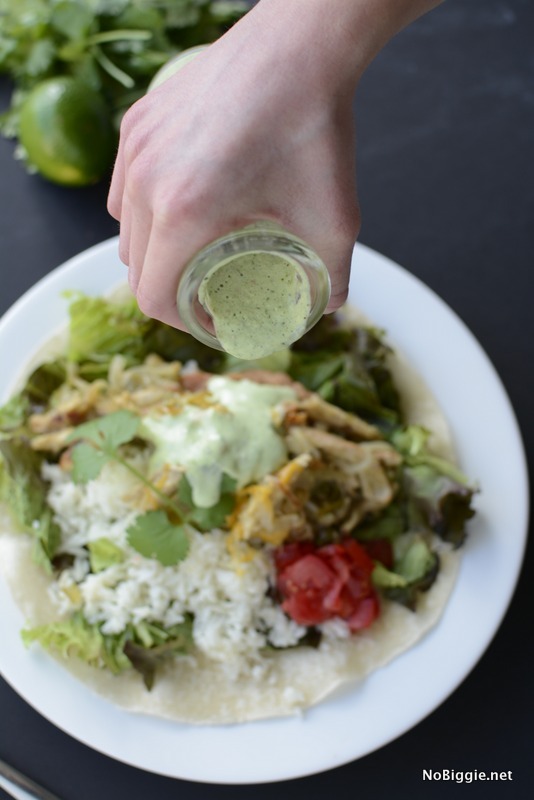 Like the homemade creamy cilantro lime dressing…which makes the salad! 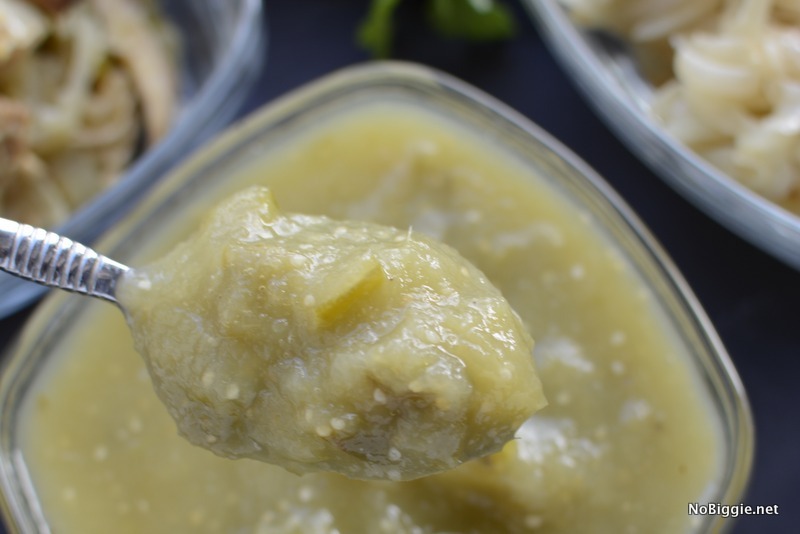 To start, you will need to make the green chili chutney. It’s the base flavor to the delicious chicken and caramelized onion mixture. 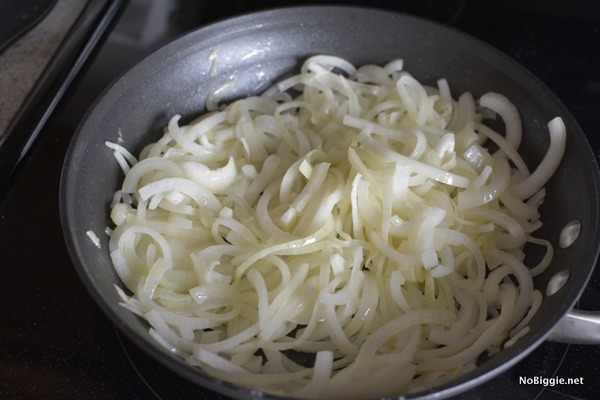 Have you ever caramelized onions before? The trick is low and slow. A low heat along with a lot of time tossing them around the buttered or oiled pan letting them sweat it out. The sweetness of the onion sure comes out this way. 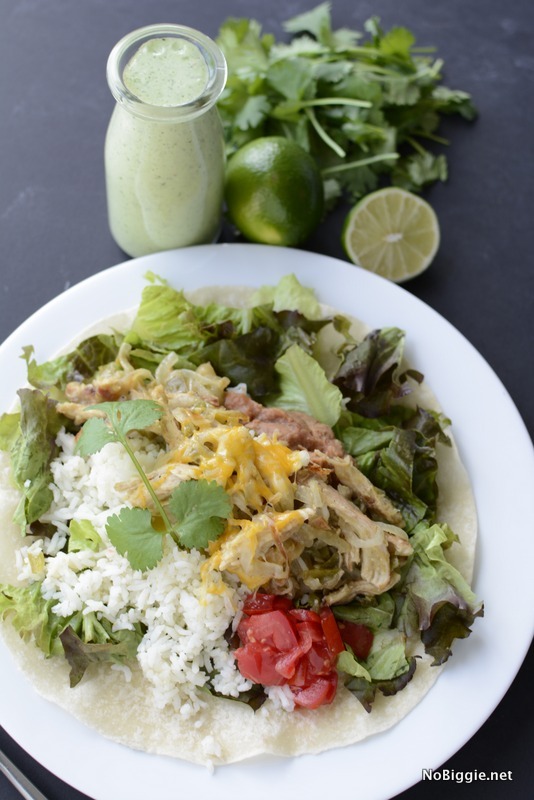 Toss the cooked shredded chicken with the caramelized onions in the green chili chutney, and you have the base for both the green chicken chili salad and the green chicken chili quesadilla. 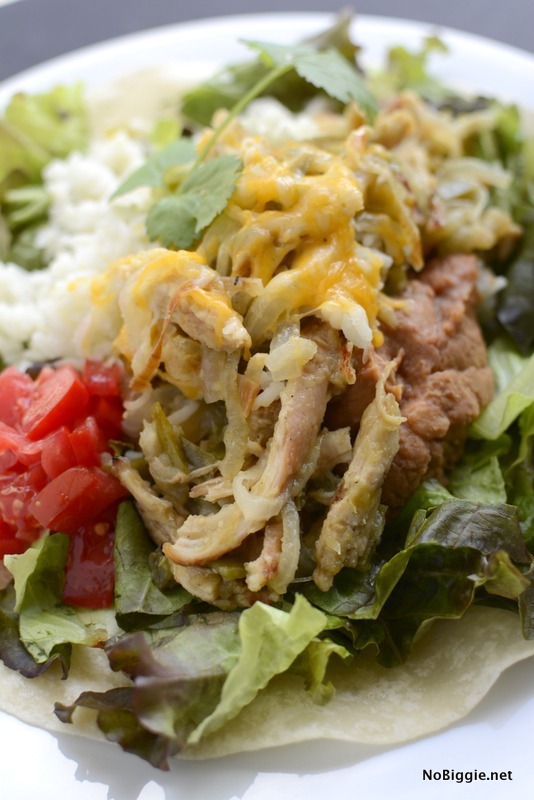 The copy cat recipe for Bajio Mexican Restaurant's Green Chile Chicken Salad. Before you begin, start by making the green chile chutney (see recipe link in post), marinate - grill and slice the chicken, make the cilantro lime dressing and make the sweet rice. Caramelize two sliced onions in oil. 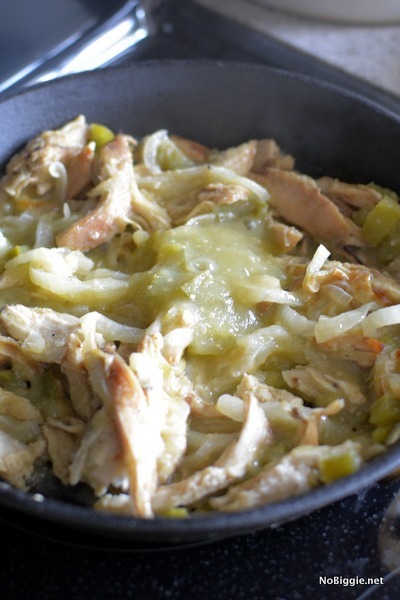 When the onions are cooked, soft and ready, add in 1 cup of the green chile chutney and the cooked sliced chicken. Cook until mixed together well and warmed through. On individual plates with warm tortillas, pile on the mixed greens, a big scoop of the sweet rice, plus black beans or refried beans. Add a big scoop of the warm chicken mixture and top with shredded cheese. Finish with a scoop of fresh pico de gallo. Serve with the creamy cilantro lime dressing on the side. I’m so excited for you to try it!